During the 1950s and the 1960s, hoteliers began installing swimming pools at their properties in order to differentiate their hotels from competing hotels. With the addition of a pool, the hotel became more appealing to the weekend and holiday travelers, who filled hotel rooms when business travelers were gone. The more things change, the more they remain the same. Today, most hotels have pools, so it doesn’t create a competitive advantage, but the hotel owners who add a simple slide, spray elements, buckets or splash toys (often in the same amount of space as a standard hotel pool), are attracting new customers from their competition. Ask families traveling for their kids’ sports teams where they would rather stay – at a hotel with a pool and a slide or one with just a pool (no slide)? 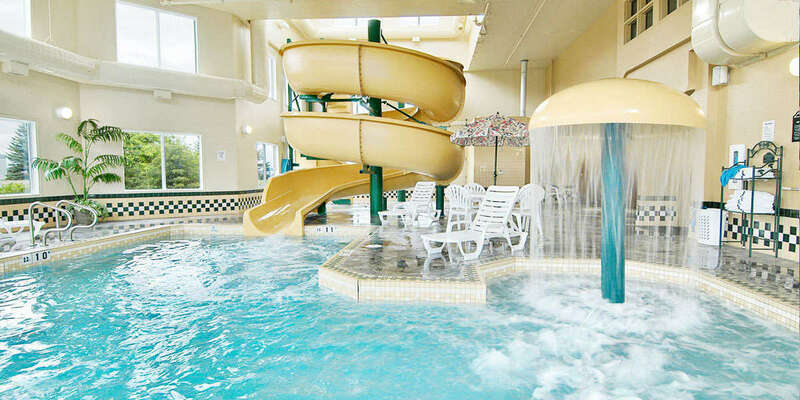 In one case, the addition of slides to create an indoor waterpark at a hotel began a tread that transformed a summer recreation destination in the Wisconsin Dells to a year round destination resort in this rural Wisconsin town. In 1994, the Polynesian Resort Hotel opened the area’s first indoor water play area complete with palm trees, slides, rides and a lot of splashing in the middle of Wisconsin. Once other Wisconsin Dells hotel owners saw the stampede to the Polynesian during the traditional dead off-season, it didn’t take them long to build their own attractions. In just eight years, eighteen properties developed climate-controlled water elements – and the concept continues to spread throughout North America. For instance, The Great Wolf Lodge operates indoor waterparks in many cities, including Sandusky, Ohio (home to Cedar Point); Traverse City, Michigan; and Kansas City, Kansas, and last year opened one on the Canadian side of Niagara Falls. You might thing that your hotel is not a resort, you are small, in a small market and your bread and butter is the weekly Monday through Friday business travelers. The fact of the matter is that small hotels with water slides remain the hottest sector of the hotel waterpark business, especially in the economy segment, with properties such as Super 8 Motels. The trend has been heating up, as indicated by the May 2007 announcement by chains like Holiday Inn that mandate a waterpark feasibility study to be done on all new prospective properties. This shows that the brand understands the ability of this amenity to fill hotel rooms. Marriott signed an agreement to build 20 new hotels by 2020 themed with popular Nickelodeon characters and 100,000 square foot waterparks to connect with families. 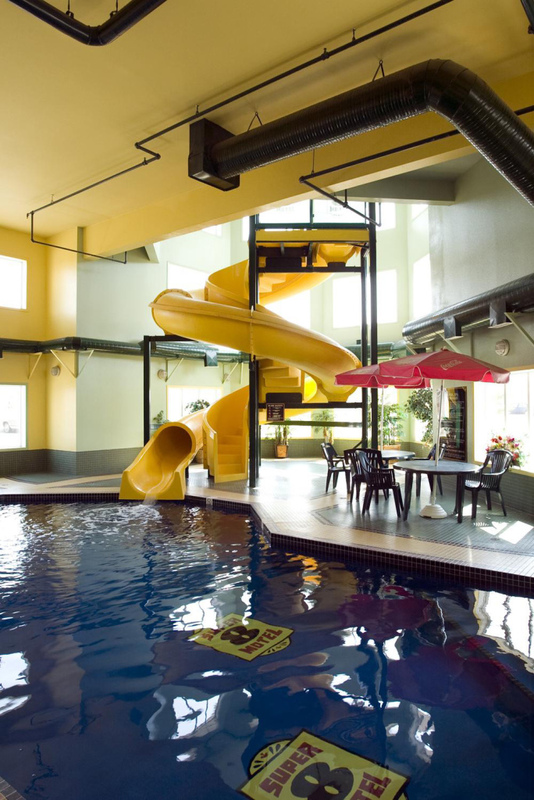 A preliminary step for hotels wishing to enter the waterpark hotel market is to ascertain whether there is room to simply add a slide to an existing indoor or outdoor pool. Adding a slide is particularly easy for hotels in warm climates (such as Florida) that have outdoor pools, which makes it easier to see a return on investment because no structural building changes are required. The first step is building the waterpark, but just as important is the unique way in which owners leverage and market their waterpark resources. For example, Terry Rempel developed a 199-room Ramada with a 20,000 square foot waterpark and three dividable party rooms. He implemented and marketed a birthday party program, featuring a waterpark animal mascot that visited partygoers, keeping his rental party rooms booked every three to four hours. He also bought an old limo, which he used to pick up and drop kids off in and he even upsold pizza and birthday cakes from local food vendors. He charged visitors cheaper admission to the waterpark on his low occupancy nights to encourage local business. As the week got closer to the weekend, he would gradually raise the “waterpark only” price until it made more sense for guests to buy a room and get the waterpark passes with their room. By doing this he was able to bring in additional revenue on slow nights and build his occupancy numbers on the weekends. He also was able to raise his room rates because the amenity which further allowed him to maximize his return on investment. By selling admission to the waterpark to locals, he soon became their favorite hotel for family visits and parties. 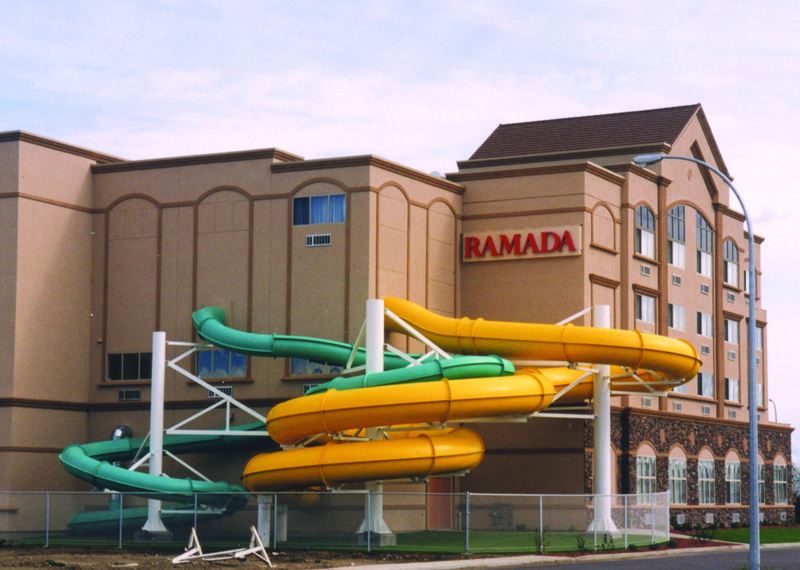 In a small with a population of 82,000, Terry’s Ramada is the busiest in Canada, which shows you that you don’t have to be big or in a big market to be successful. Since many hoteliers have partnerships with hotels in their vicinity, then it might be feasible for hotels in close proximity to share a common waterpark facility and reap the benefits of having a 365 day a year attraction in your hotel’s neighborhood. There are a lot of success stories and they aren’t necessarily big hotels. The name of the game is for hotels to maximize occupancy and ADR by reducing seasonal fluctuations – waterparks have proven to provide excellent ROI (return on investment) and can help you accomplish your goals if you are looking to improve your bottom line.